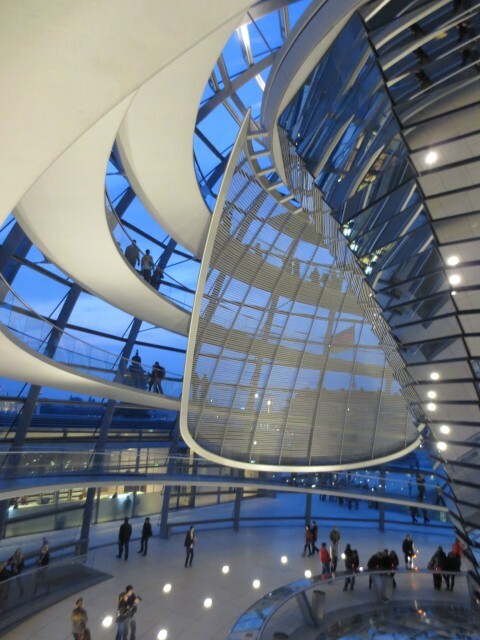 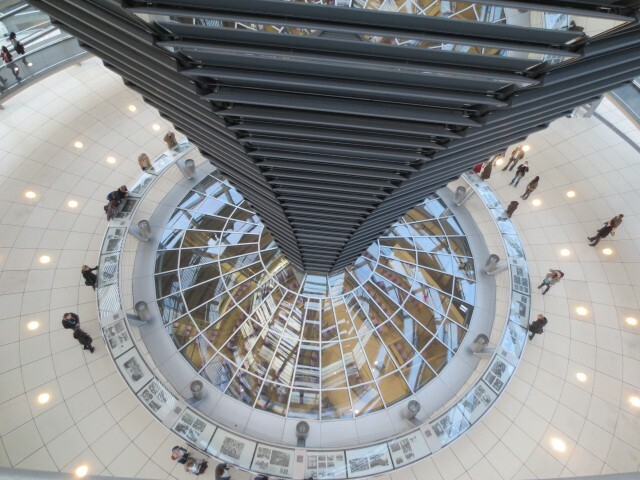 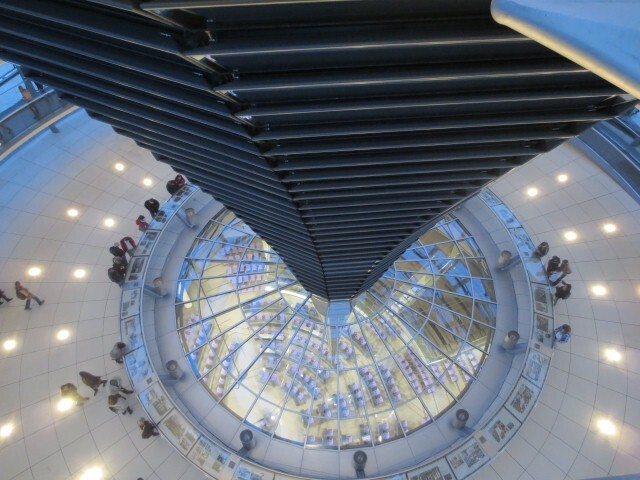 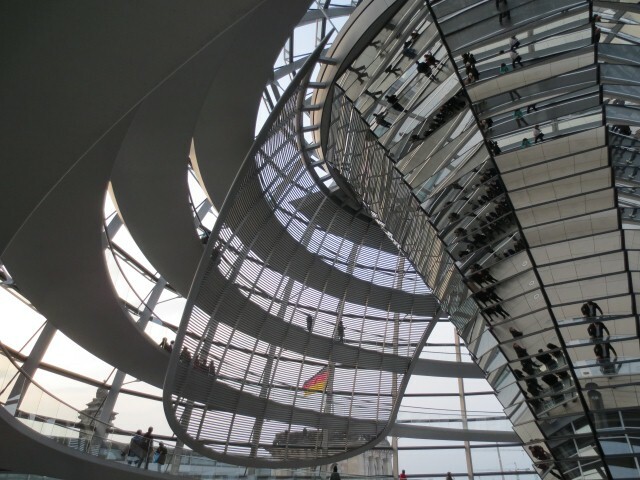 BERLIN: A Visit to the Reichstag | Sndybeech's Weblog--something weird has happened on this opening page-- if you just want to browse, scroll down, otherwise to see what pages are here, click on Berlin on the right side and the the list of all pages will appear. 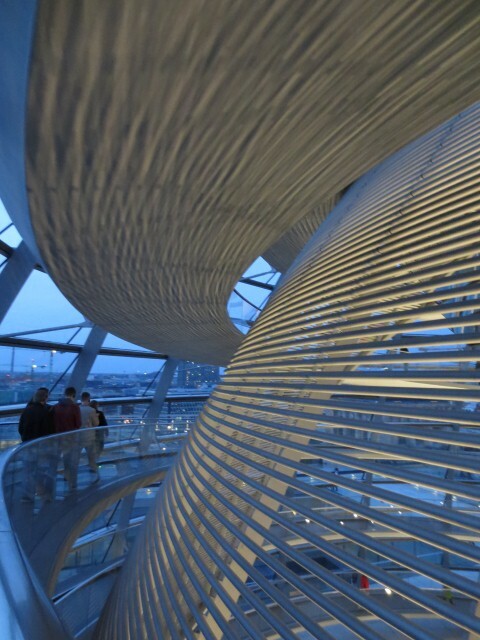 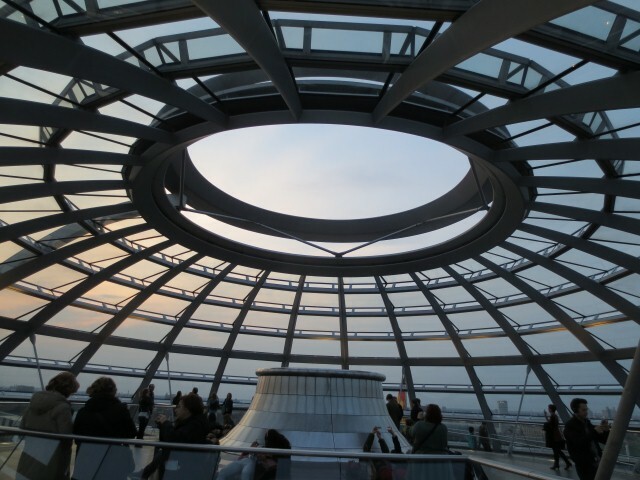 Just a few pictures of this spectacular new dome over the German Parliament chamber designed by British architect Norman Foster and one view from the deck of Berlin at night. 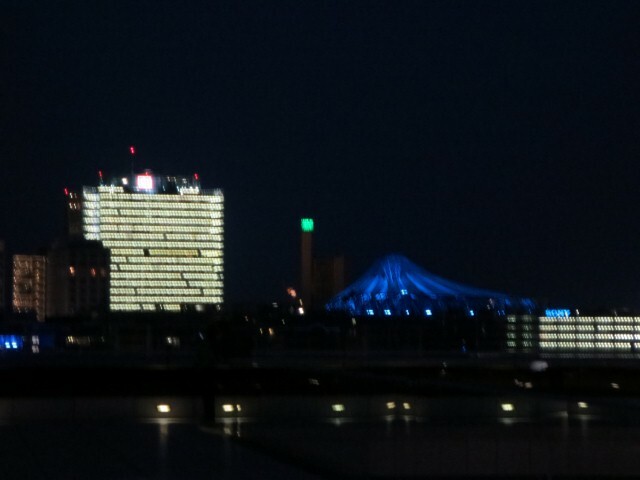 the blue tent-like thing is Sony. 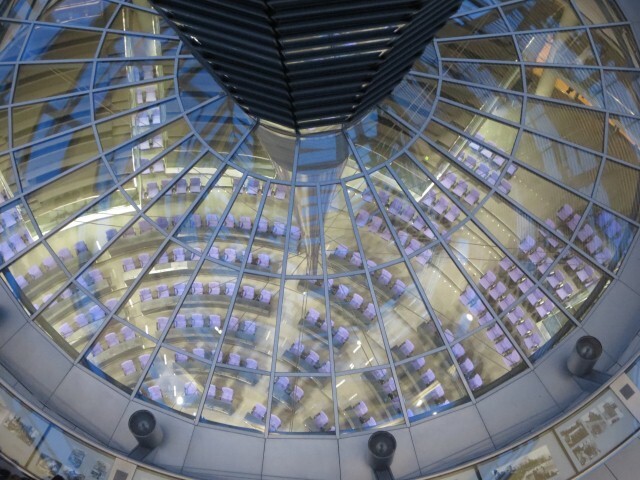 In one of the photos you can look done into the chamber and see the purple chairs.